Healthy eating is about balancing your body’s nutritional needs while enjoying the foods you eat. What you eat can have a large impact on your health. There are many serious health conditions linked to a poor diet and carrying extra weight. They include cardiovascular diseases (such as heart attack and stroke), type 2 diabetes and some cancers. The good news is that by eating a healthy, balanced diet and managing your weight, you can reduce your risk of these conditions. Food supplies a range of nutrients, which are substances that the body needs to function and stay healthy. If your body does not receive sufficient amounts of these nutrients regularly, this can lead to a wide range of health conditions. In some cases, if your body receives an oversupply of some nutrients, this can also cause health problems. Micronutrients – a wide range of substances such as minerals and vitamins that do not supply energy, but are important for bodily functions and development. Macronutrients make up a large part of the foods we eat. Besides being sources of energy, each of the macronutrients perform vital functions in the body. Most foods contain a mix of two or more of the macronutrients. While there is still ongoing debate and research about the most beneficial proportions of each of the macronutrients in the diet, it is not recommended that you severely restrict or eliminate any of the macronutrients from your diet. Trying to cut out all fats or all carbohydrates, as is sometimes promoted in some popular fad diets, means that you will need to avoid many foods, which can make it very difficult to get the variety and nutrients your body needs. It can also be harder to stick these types of eating plans, because the foods you can eat are so restricted and it is hard to feel satisfied. When you are considering which foods to include in your diet, it is also important to understand that not all foods that are rich in a particular macronutrient have the same effect on your body. Low-glycaemic carbohydrates produce longer-lasting energy and a lower insulin response than high-glycaemic carbohydrates, which may offer health benefits. Added to this, some foods contain more micronutrients or dietary fibre, which can also offer health benefits. Micronutrients include vitamins, minerals and trace elements such as calcium, folate, iron and vitamin C. These are substances that your body needs to function well, but cannot make, so you need to take them in through what you eat and drink. In most cases, it is better to consume nutrients as part of whole foods, rather than relying on vitamin and mineral supplements. If you eat a varied and balanced diet, particularly one that is rich in vegetables and fruit, you will usually be able to do this. It is important to remember that consuming too much of some micronutrients can increase your risk of some illnesses. A good example of this is the sodium in salt. The body requires small amounts of sodium, but most people get far more sodium salt in their diet than they need due to over-consumption of high levels of salt. Excess sodium can lead to increased blood pressure and, over time, can contribute to the development of cardiovascular disease. The Australian Government publishes nutrient reference values that give guidance on safe intake levels of a range of nutrients.1 If you are unable to eat a balanced diet, or you have a medical condition that makes taking a supplement advisable, your doctor can discuss what dose is best for your needs. Dietary fibre consists of the parts of plants that are not digested in the small intestine. Most types of fibre are a carbohydrates and come from vegetables, fruits and grains, or cereal-based foods. Consuming dietary fibre has a number of health benefits including promoting digestive health and helping to prevent constipation, reducing the level of high-density lipoprotein (HDL) cholesterol in the blood and helping to control blood sugar (glucose) levels. Another important aspect of the food you eat is the energy it provides. Energy in food is measured in kilojoules or calories (1 calorie = 4.2 kilojoules). Different foods vary in the amount of energy they provide because they contain different quantities of the three macronutrients. Fats are the most energy-rich macronutrient, supplying about 38 kilojoules per gram. Proteins and carbohydrates supply around 17 kilojoules per gram. In a healthy, balanced diet, one of the aspects that needs to be balanced is the amount of energy you consume, compared to the amount of energy your body uses up. If you consistently take in more energy than your body uses, over time your body will store the excess energy as fat, leading to weight gain. Carrying too much extra weight (obesity) is linked to a range of serious health conditions. Being a healthy weight for your height can help reduce your risk of these conditions. The latest version of The Australian Dietary Guidelines were released by the Australian Government’s National Health and Medical Research Council (NHMRC) in 2013.3 The NHMRC did an extensive review of the scientific evidence available about diet and health before develop the guidelines for Australians. These guidelines apply as general guidance, although there may be many reasons (including pregnancy and some medical conditions) why you may need specialised advice for your needs. Food safety is important when preparing and storing food. 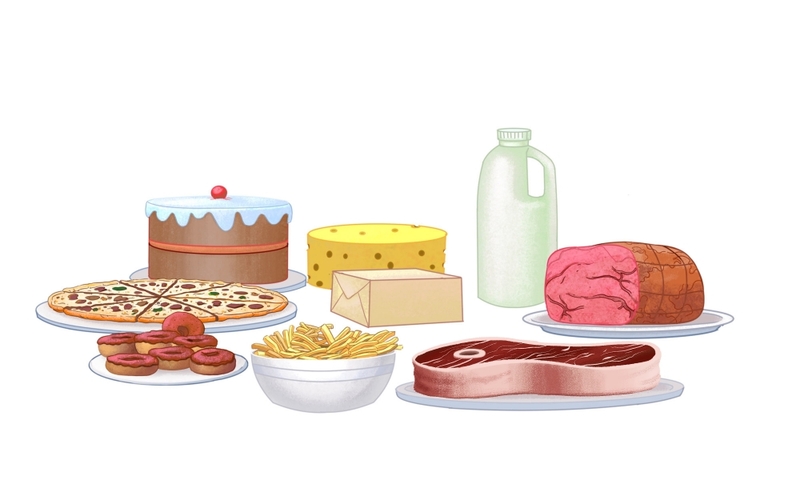 The Australian Dietary Guidelines separate the most commonly eaten foods into five major food groups. Because we tend to think in terms of foods rather than macronutrients or energy, using the major food groups can help you to choose a selection of foods that will contribute to a balanced diet, with all the nutrients your body needs. Dairy and dairy substitutes, such as non-dairy milks fortified with calcium. The guidelines stress that choosing a variety of foods within each of these food groups can help you to get the nutrients your body needs. For example, choosing vegetables of different colours, eating different fruits in season and swapping around your grain-based foods (e.g., rice one night, couscous the next) are easy ways to do this. Eating a selection of foods from the five major food groups will supply your body with required nutrients. The guidelines also advise people to limit their intake of dietary fats and what it describes as discretionary foods – foods high in added fats, sugars, salt and alcohol, which are often high in energy and low in micronutrients. Saturated and trans fats are linked to an increased risk of serious health conditions such as cardiovascular disease, while others can reduce the risk of disease. Saturated fats, which have been shown to increase the risk of cardiovascular disease, make up no more than 10%. Sugars are refined carbohydrates, so foods that have high levels of sugars are high in energy, but tend to be poor in nutrients. Consuming high quantities of sugary foods and drinks, such as soft drinks and fruit juices, can increase the risk of developing tooth decay and diabetes. While adults require a minimum of 460-920 milligrams a day of sodium (that is around 1-2 grams of salt), most adults consume far more than that, which can increase their risk of high blood pressure (hypertension) and heart disease. It is recommended that adults consume less than 1600 milligrams of sodium (4 grams of salt) and no more than 2300 milligrams (6 grams of salt) per day. One way to help reduce salt intake is to avoid adding salt to foods. It is also helpful to choose fresh, unprocessed foods, rather than packaged ones. When you eat out, or use prepared or processed foods, it can be easy to be unaware of how much salt you may be consuming. When buying packaged foods, you can choose lower-salt options by checking out the salt level in the nutritional Informational panel on the packaging. 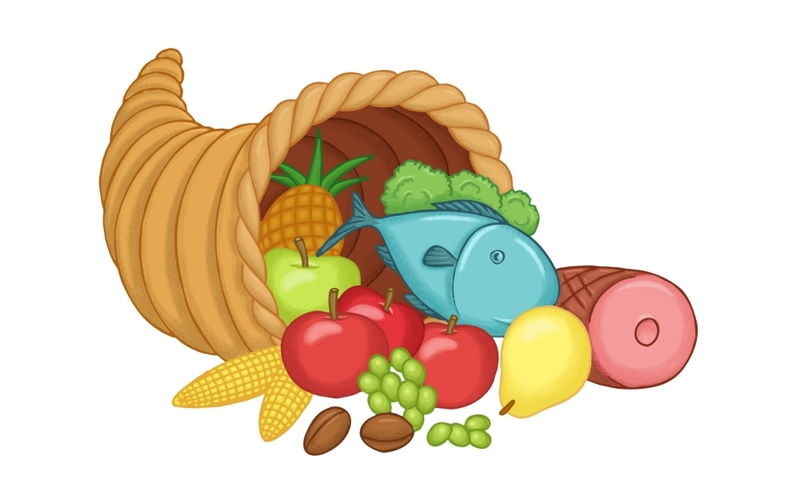 Foods high in saturated fats, sugar and salt can include processed meats, some take-away food and cakes. Alcohol can be high in energy (around 29 kilojoules per gram) and relatively low in nutrients. Regular overconsumption of alcohol can increase your risk of a range of serious health conditions. The NHMRC guidelines recommend that healthy adult men and women (who are not pregnant) limit alcohol consumption to two or less standard drinks of alcohol per day.5 This helps to reduce the risk of health problems caused by alcohol. The dietary guidelines recommend drinking plenty of water. Water contains no energy and prevents dehydration. Drinking plenty of water can help to prevent kidney stones and may help to prevent kidney, bladder and prostate cancer. Tap water contains fluoride that can help to strengthen teeth and bones. Being informed about what is in the foods you are buying can help you make healthier choices. 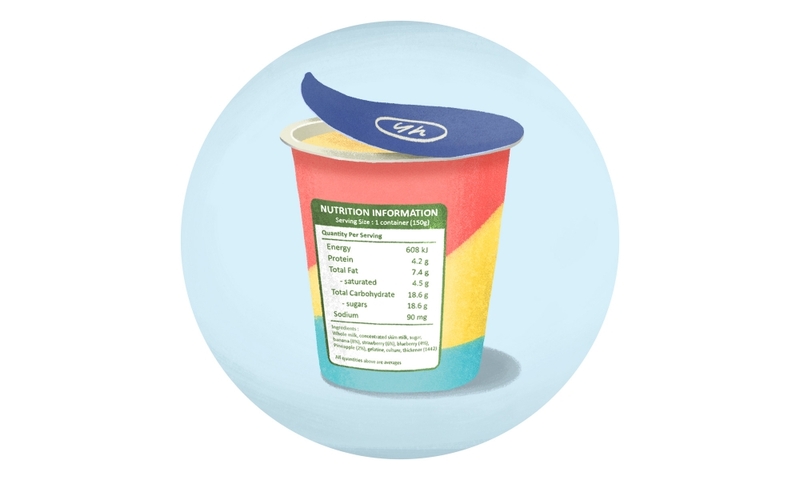 Most packaged foods sold in Australia must have a nutrition information panel printed on the packaging. Panels show average amounts of energy and other nutrients that are contained in a ‘serve’ of the product as well as per 100 grams. It is up to the manufacturer to decide how much a serve is and this can vary between products. For example, in a packet of biscuits a serve might be one biscuit at one manufacturer and two biscuits at another. By checking the amounts on the nutrition information panel, you can compare products and make healthier choices. Look for products with lower levels of energy, dietary fats (and in particular saturated fats), sugar and sodium. Daily intake guides may also be printed on the packaging of some foods, although they are a voluntary guide, so not all foods will have them. They show what percentage of your recommended daily intake a serve of the product provides for energy and a range of nutrients similar to the nutritional Information panel. They can be a handy guide to compare products, but it is important to remember that figures in daily intake guides are based on an average adult and will not necessarily apply directly to your situation. A nutritional information panel on a product provides information on the amout and type of nutrients. Find ways to add vegetables to your meals. They are low in energy, high in fibre and nutrients and perfect to fill up on. 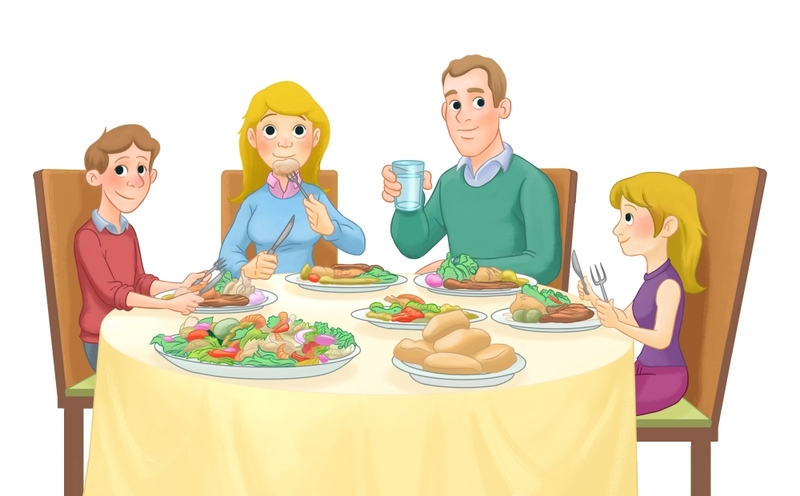 Enjoying healthy food as a family. While it’s important to eat a healthy balanced diet, it’s also important that the food you consume is safe as well. Food poisoning can occur when food is contaminated by a range of organisms including bacteria, viruses and parasites such as worms. While most illness caused by food poisoning is mild and results in little more than an upset stomach, in severe cases, food poisoning can make people very ill and can even be life-threatening. Be aware of food allergies for anyone for whom you are preparing food.